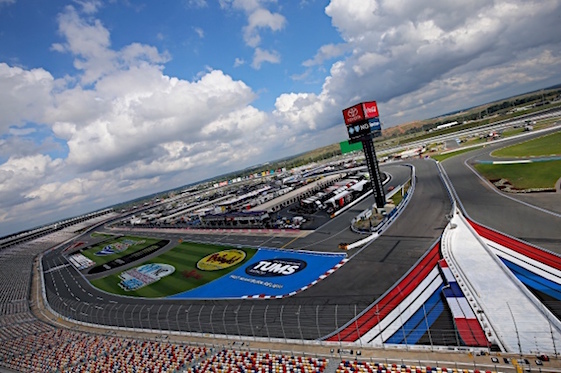 CONCORD, N.C. – NASCAR Xfinity Series driver Austin Cindric, who has an extensive road racing background, said Thursday he was approaching Charlotte Motor Speedway’s ROVAL as if it were a street course. Thursday was the first time the Xfinity drivers had tackled the 17-turn, 2.28-mile course named the ROVAL by Charlotte personnel. The competitors had been confined to simulators and data acquired from Monster Energy NASCAR Cup teams that had tested at the facility. However, on Thursday the Xfinity teams were given two optional practice sessions. Cindric posted the fastest lap in the first session at 102.603 mph. Tyler Reddick recorded the best 10 consecutive lap average in that session with 98.801 mph. Cole Custer was the quickest in the second session with a 103.223-mph lap. In that session, Allgaier had the best 10 consecutive lap average at 102.034 mph. Practice for the Drive for the Cure 200 continues Friday. Qualifying is scheduled for 12:10 p.m. with the race at 3 p.m., ET, both on Saturday. The event is the second in the Xfinity Series playoffs. Christopher Bell, who won at Richmond, leads the standings with Daniel Hemric second and Justin Allgaier third.